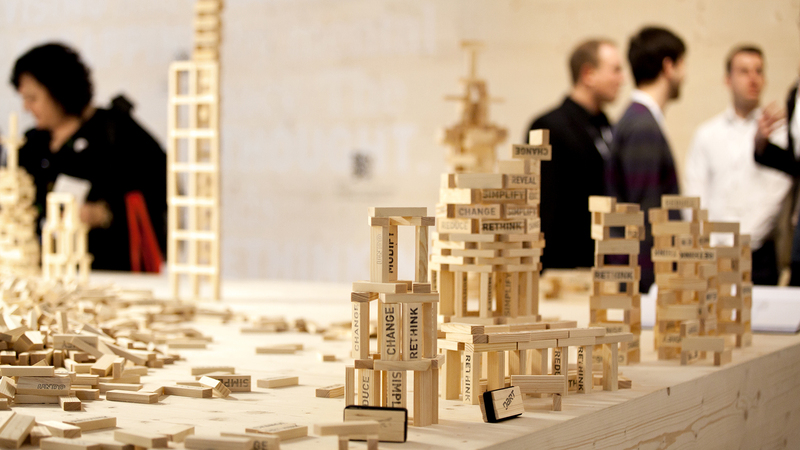 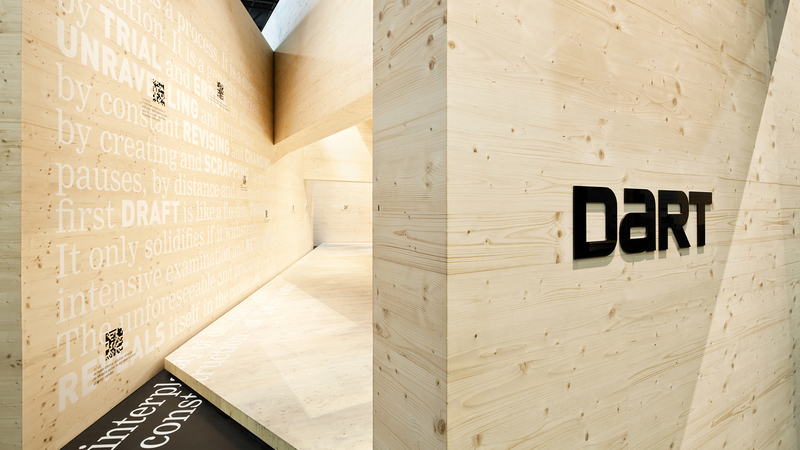 Design is a process – this is what D’art Design Gruppe shows by means of its motto "UNDO" at the EuroShop 2014. 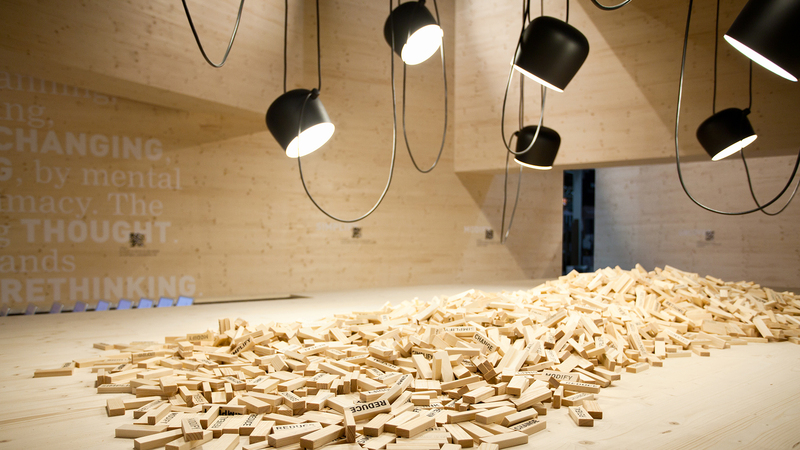 Visitors get the opportunity to discover and experience the milestones of design and build something of their own. 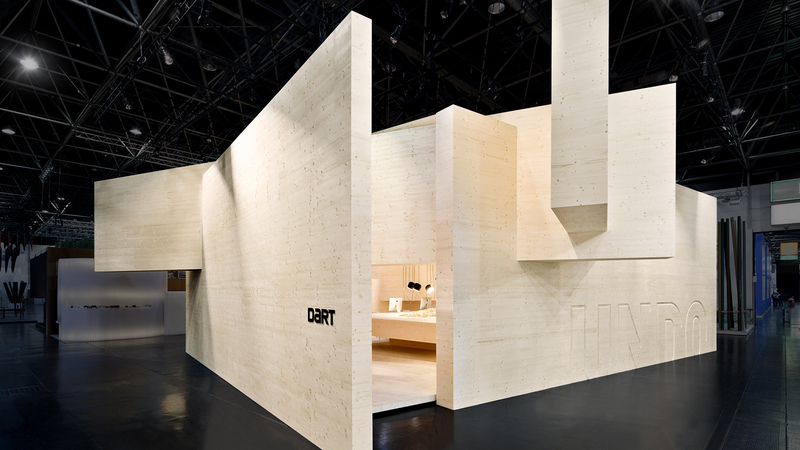 For already the 8th time in a row, D’art Design Gruppe faces the task of arranging its own appearance at the EuroShop, world-leading fair for trade investments in Duesseldorf.This year's motto on the 247 sqm large brand world is "UNDO" and visualizes the process of design by means of a media exhibition area. 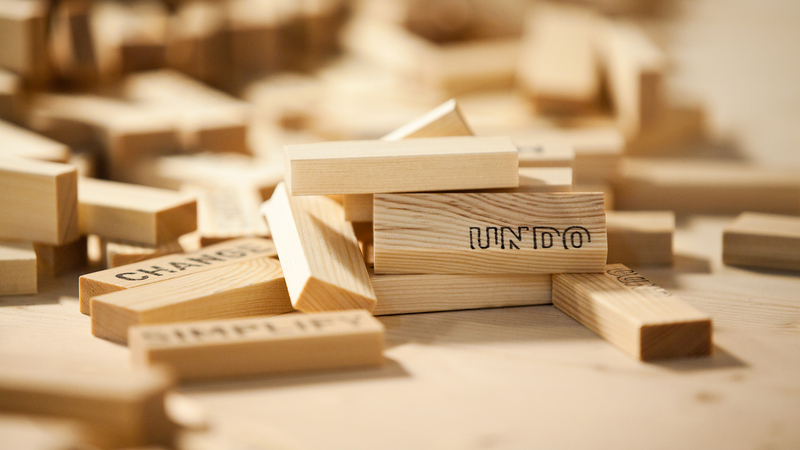 The creative agency sees the fair motto "UNDO" as a creative prinicple that is characterized by trial and error, by unravelling and overhauling, by constant revising and changing and by mental pauses. 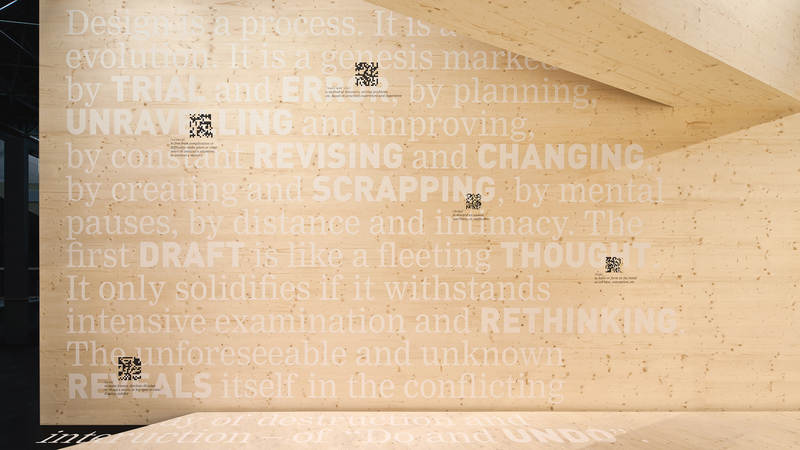 The three entrances to the brand world "UNDO" invite visitors into the architecture that seems as if it were built from wooden building stones: There, visitors encounter an almost sacral exhibition space. 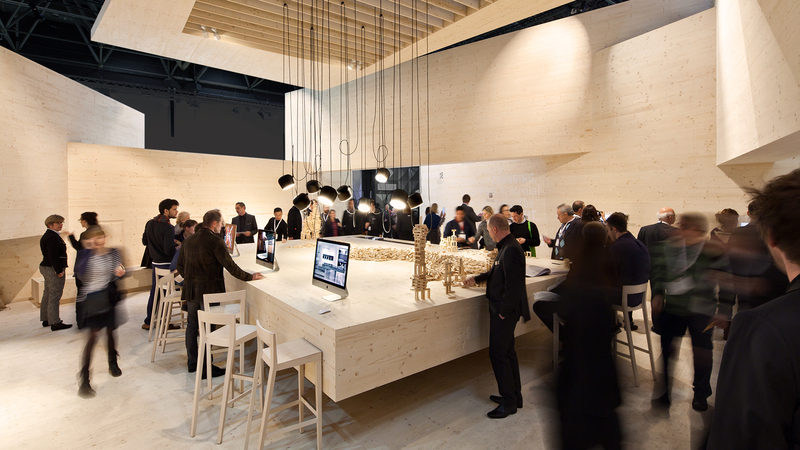 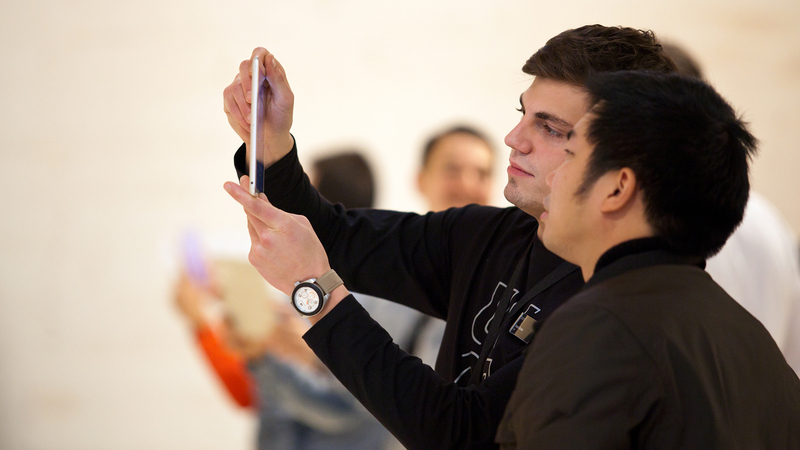 There is music in the background, nevertheless visitors immerge in a calm atmosphere with a multimedia exhibition at the centre table in the brand world's core. 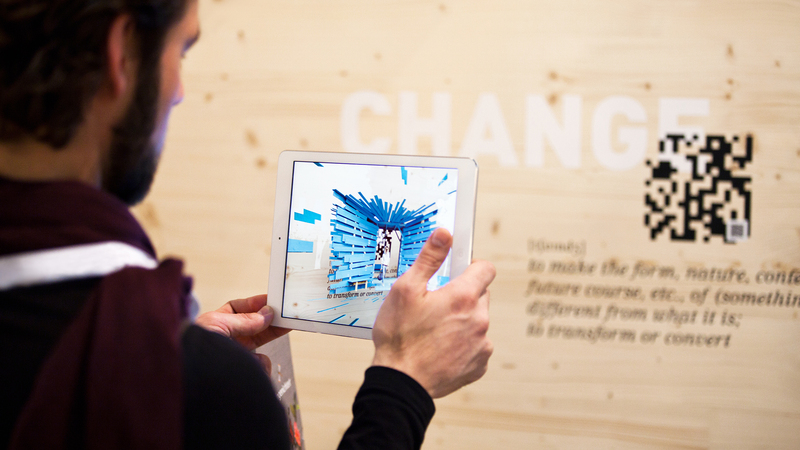 A huge, almost floating wooden table holds several tablets for visitors, with which they can decrypt the exhibition codes on the walls.